Happy Monday everyone. I know that today is normally viewer questions. But I got a really great question last week. One that I thought I would get a true expert’s insight on. That is “Where are the women in the Automotive Industry?”. I think this is a great question with multiple layers to evaluate. I am sure in today’s show we are just scratching the surface. There is only so much insight I can have into this question. So I reached out to someone that is at the top in this area. Her name is Audra Fordin from Women Auto Know. She is truly a champion of the industry, and does so much good for women specifically. She was wonderful enough to give us her take on that question. Are there women in the automotive industry? Is the job too hard? It is not just an automotive industry thing. Trouble Viewing? Watch “Women In The Automotive Industry ~ Podcast Episode 60” on YouTube. As always, your questions and comments are welcome. Please post them below. 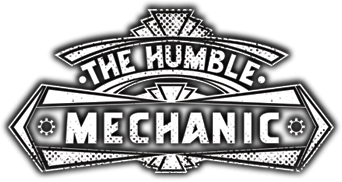 If you would like to suggest a show topic, email me Charles(at)HumbleMechanic(dot)com, or use the contact me form. Great topic Charles! I know of only a handful of female techs in the industry, but I have no idea why there are so few. As we know, the opportunities are great in this career field, and especially for enthusiastic folks. Keep up the great work! Hi Charles, Great topic! Thanks for sharing your take on it. 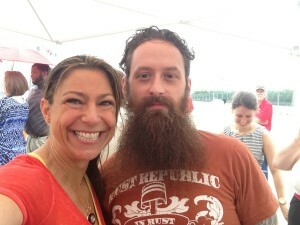 Audra is awesome! I had the opportunity to meet her as well. When I’m at conferences or networking events, people are surprised to find out I own an auto repair shop. My husband is the technical side and I’m the business side of our business. My goal is to bring the much needed professionalism to the industry one customer at a time. This helps consumers realize how high tech the auto industry has become and also see the people in the industry as professionals. I also support and encourage the next generation of men and women coming into the auto repair industry. There are so many opportunities. I’ve met some pretty amazing women in the auto industry and I believe many of them are helping to make it better for all. YES YES YES and YES!!!!! Can’t agree more!